Lowering high blood pressure is a very important topic not only for avoiding a heart attack or stroke, but simply for a longer life. And personally speaking, this is very important for me because I have a family history of high blood pressure, which has typically lead to strokes on my dad’s side of the family and heart attacks on my mom’s. The good news is that there are lots of simple ways to lower high blood pressure, naturally. And today I’m going reveal 3 simple pressure points on your body, that will instantly lower your blood pressure. Something important that I want to bring to your attention about today’s topic is that these solutions are for instant results, NOT long-term solutions. So if you’re feeling stressed or your blood pressure is rising, you can almost instantly and quickly use today’s 3 pressure points to lower your blood pressure and help avoid anything bad from happening. If nothing else, you’ll get instant relief and relaxation. 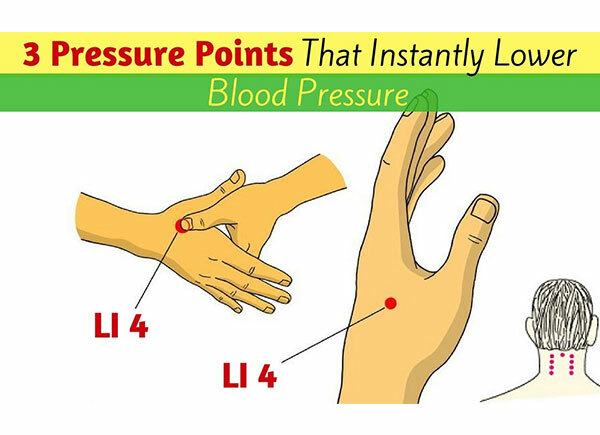 LI 4, which stands for “Large Intestine 4”, is an extremely useful acupressure point that is extensively used to treat chronic pain, acute stress and various types of diseases along with treatment for high blood pressure. This point is situated in the webbing between the forefinger and the thumb… right in the middle as you see here. It calms and balances blood flow throughout the body and clears stagnation. As an added benefit, it also boosts your immunity. 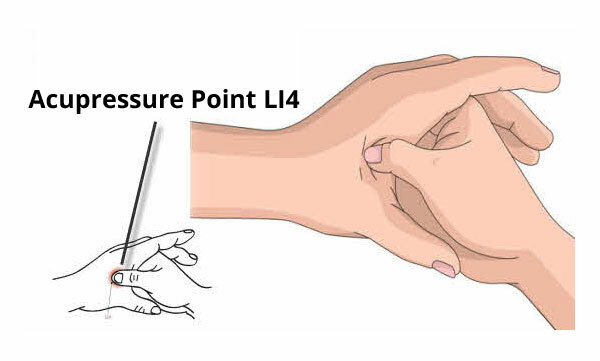 The most effective way to apply pressure to LI 4 is to slide your thumb along the webbing until you reach the junction of the thumb and index finger bones. Begin by moving your thumb in a small circular rubbing motion over LI 4 for a few seconds. Then you can apply gentle to moderate thumb pressure depending on how sensitive the area feels. If there is any pain, it should be a “good hurt,” not severe or uncomfortable. You can hold the point as long as you are comfortable, up to several minutes. I typically suggest about 20-30 seconds, then take a few second break and then repeat as often as you’d like. 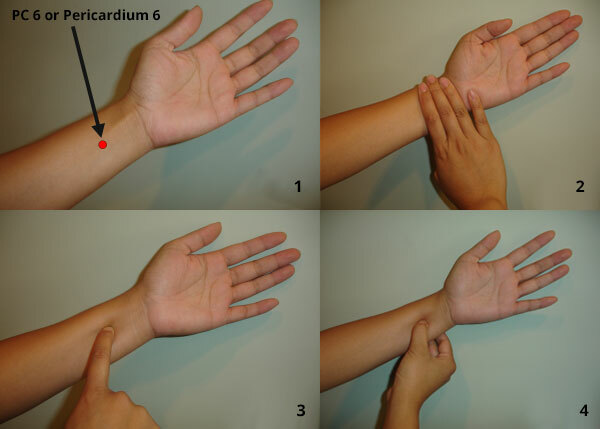 PC 6 or Pericardium 6 is yet another important acupressure point for treating high blood pressure. It soothes and helps the heart and circulatory system in their proper functioning. This point is also known as the Inner Gate, and it is located on the inner forearm, approximately three finger-widths away from the wrist crease as you see here. This point can be stimulated by applying firm pressure to the point using your index finger or thumb. Again, apply pressure for about 20-30 seconds, then take a break and repeat as needed. The G20 is below the base of your skull, in the hollows on both sides of the neck, between the two vertical neck muscles. Putting pressure here lowers your blood pressure, reduces headaches and stress by relaxing your nervous system. Use your thumbs, fingers, or knuckles to gradually apply pressure into the hollows of your skull. Close your eyes as you tilt your head back slowly. Take long, slow deep breaths as you hold for two to three minutes. Direct the pressure slowly and firmly into the center of your head. Now, there are lots of other acupressure points — on your feet, arms, legs, and so forth. I picked these 3 areas for lowering your blood pressure because you can do them any where, any place — they’re easy to access. It’s just your hand, forearm/wrist and the back of your head. Easy access, you can do it yourself and you’ll get fast relief. 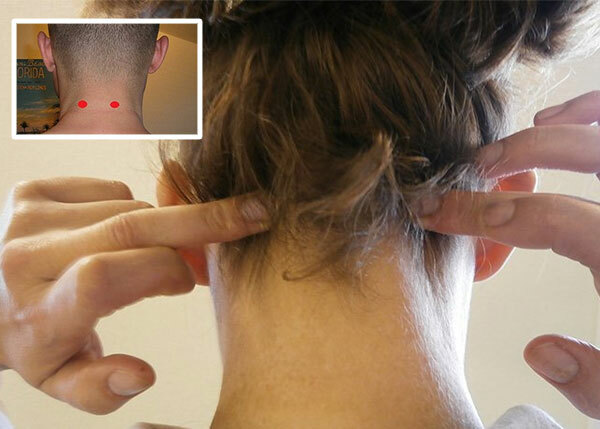 As stated earlier, these pressure points should be stimulated for quick relief, usually during times of stress. However, this will not fix your hypertension throughout the day, especially when you’re sleeping. So you should be utilizing other natural treatments that will give you long-term results.